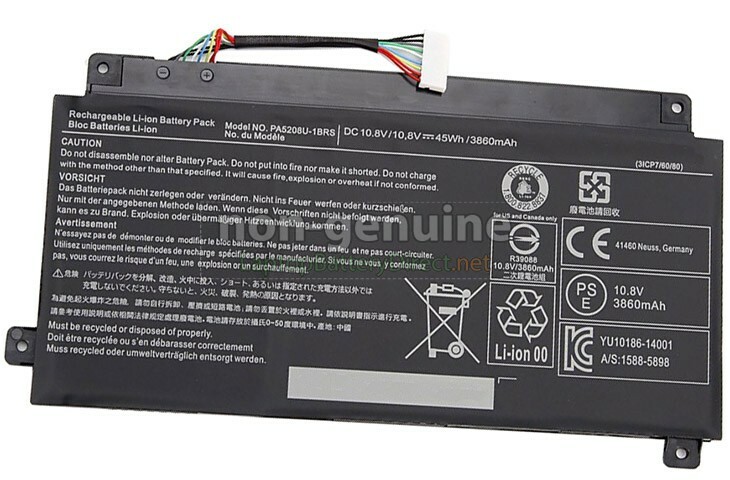 The 10.8V 45Wh(3 cells) Toshiba Satellite L55W-C5280 laptop battery is made of high-quality lithium-ion battery cells, which has been tested to be brand new and totally compatible with the original manufacturer specifications, meets or even exceeds the original battery performance. With high-quality battery cells and materials, your laptop will run longer and more secure. Moreover, this battery has no "memory effect" and you don’t need to discharge before each charge. 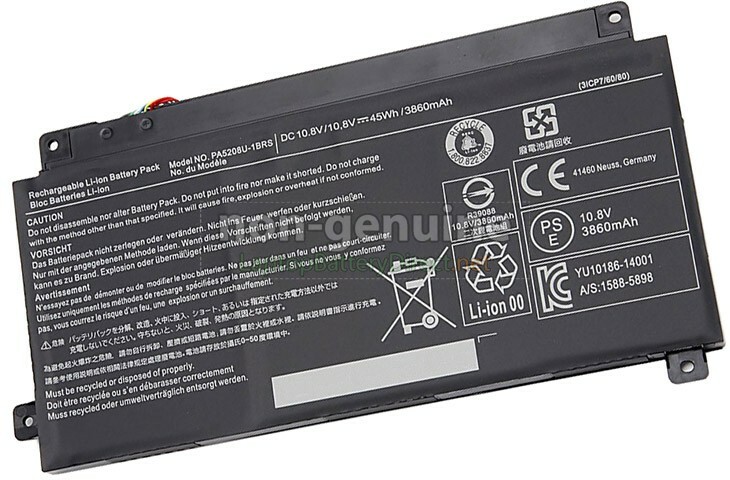 It is more convenient for you to use our replacement Toshiba Satellite L55W-C5280 batteries. Our Toshiba Satellite L55W-C5280 laptop battery which we design is in strict accordance with the highest control standards. It carries with a smart interior circuit board that provides battery-unbalanced-shut-off protection, thermal runaway protection, overcharged protection, over-discharged-shut-off protection, and high/low-temperature-shut-off protection. 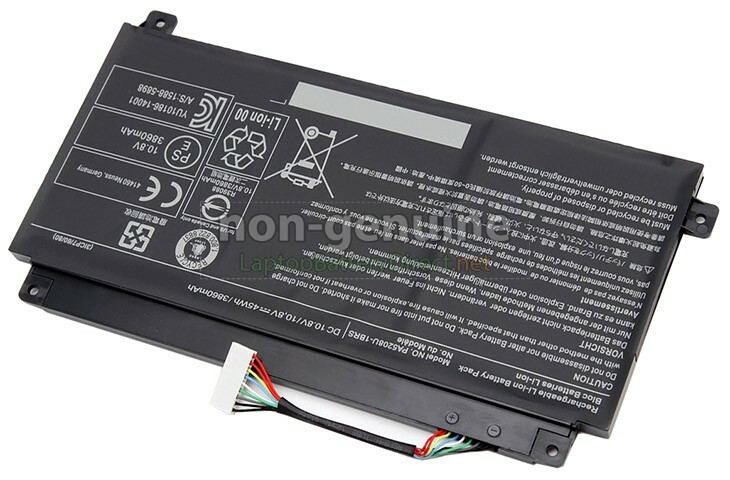 Toshiba Satellite L55W-C5280 notebook battery is made of environmentally friendly materials, without lead and mercury. It is certified as a safe and reliable product through a series of rigorous tests on the Toshiba examine system. 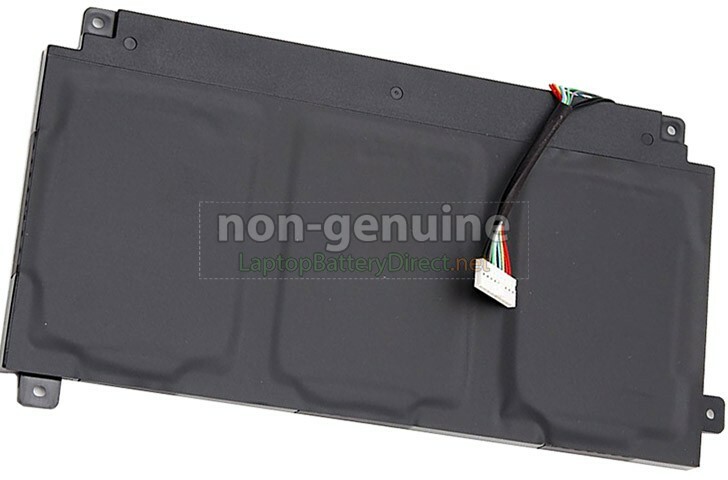 Thank you for shopping the Toshiba Satellite L55W-C5280 replacement battery at LaptopBatteryDirect.net. Our batteries are packed in cartons with anti-static bags and anti-pressure sponges to effectively protect the batteries in transit. We have a rigorous inspection process to ensure that your order (e.g. Toshiba Satellite L55W-C5280 replacement battery) is perfectly functional before shipping to you. Before placing an order, you'd better look at our battery from following pictures and check if it is the same as your original one. Please make sure that you pick out the correct battery to avoid ordering mistakenly. We offer Full 1 Year Warranty on our Toshiba Satellite L55W-C5280 laptop battery. Warranty is applicable if the buyer has installed the battery properly on the device and has treated the battery correctly. 30 Day Money Back Guarantee if you are not satisfied with our Toshiba Satellite L55W-C5280 notebook battery. We will check all functions of our all products before delivery. A: First of all, you need to assure the model of your laptop or the part number of your laptop battery. Then look for the battery you need at laptopbatterydirect.net. Finally, you can check whether the battery you find is compatible with your laptop or not on the "Compatibility" table (for example, Toshiba Satellite L55W-C5280). If you don't know how to find the right laptop for your laptop battery, you can click How to find one correct battery for my laptop? for more details. Moreover, you can click the icon "Live Chat" on the right of this page to ask us. Q: How to charge the Toshiba Satellite L55W-C5280 laptop battery properly? A: You should charge the replacement battery for Toshiba Satellite L55W-C5280 laptop before the battery exhaustively discharged, otherwise it will shorten its life. It is feasible to charge the laptop battery before the power is less than 20%. Meanwhile, the battery should be charged in a dry place, and please pay attention to high temperature, which is the biggest threat to battery life. Q: How to deal with the replacement battery for Toshiba Satellite L55W-C5280 when you won't use for a long time? A: If you let your Toshiba Satellite L55W-C5280 laptop battery lay idle for a long time, please charge the laptop battery or discharge to about 40%, and then put it in a dry and cool place to save. Indoor temperature is best maintained at 15 to 25 degrees Celsius because the temperature is easy to accelerate the battery aging either too high or too low. You'd better fully charge and discharge the battery at least once a month. Finally please save it in accordance with the above method. Q: How to replace your Toshiba Satellite L55W-C5280 Laptop Battery? 1Turn off your Toshiba Satellite L55W-C5280 laptop and disconnect the AC adapter. 4Take the replacement battery for Toshiba Satellite L55W-C5280 laptop out of the box. 7Reconnect the AC adapter and give the new battery for your Toshiba Satellite L55W-C5280 notebook a full charge.